Jyrki Liljeroos appointed as Senior Advisor for Modulight Board - Modulight, Inc. Jyrki Liljeroos appointed as Senior Advisor for Modulight Board - Modulight, Inc.
Palo Alto, California & Tampere FINLAND, April 3, 2017 – Modulight, Inc., a leading biomedical laser manufacturer, announced nomination of Mr. Jyrki Liljeroos as a senior advisor to Board of Directors today. Mr. Liljeroos’s nomination is effective from 1st April, 2017. He will work with company’s board in all aspects of the business and bring his extensive experience to Modulight. Mr. Liljeroos has a wide experience on pharmaceutical and healthcare industries, and business strategy. 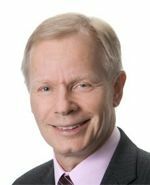 He has been the CEO and Executive Chairman of Santen Finland for 20 years. Mr. Liljeroos has also held various other positions in pharmaceutical industry, and he is among the very few foreign persons in a listed Japanese company’s top management board as a corporate officer. “I have been admiring over the years how Modulight has emerged in the medical applications market, and created biomedical lasers for applications like oncology, surgery, and biomedical illumination. Combining medical high-tech innovations with pharmaceuticals will bring added value to the patients and healthcare. Already PMA approved and delivering to seven pharmas in the USA, Modulight has significant potential of growing in the field of medical business internationally. I’m enthusiastic to join Modulight’s board of directors and contribute to the strategic decisions with my experience and knowledge”, says Jyrki Liljeroos. Modulight, Inc. is a leading biomedical laser company for genetics, oncology, and ophtalmology. Modulight products are used by many pharmaceutical companies as well as leading cancer centers in the world to cure, develop, and diagnose the most demanding indications and therapies. While the majority of Modulight’s products are sold in the US, the company is proud of their loyal customer base spanning over the entire globe. Modulight’s support extends beyond the hardware – every week Modulight lasers are installed, trained and calibrated in various hospitals around the world. Modulight team is also assisting number of customers with most demanding regulatory and quality topics. Modulight is also often called when completely new, ground-breaking technology is needed. With 15 years and more than 1 million lasers manufactured, Modulight offers laser products and services from chip to complete turnkey laser solution, at wavelengths from visible to infrared. Modulight is one of the few medical laser companies who actually manufactures lasers. Visit our fab virtually, or even better, set up a visit to our world class laser fab.